Americans have until Dec. 23, 2013, pushed back until December 31 now, to purchase insurance that kicks in Jan. 1, 2014, but the website itself that the administration had three years to create, will be responsible for applicants not being insured by the date they are legally required to be or they face a fine (Page #25-26 of the Obamacare Navigator SOP Manual), due to the overwhelming amount of “glitches” to date that have had to be addressed and the continued technical issues. From the moment Obamacare aka the Affordable Care Act was first proposed it seemed like it was cursed and the curse continues to this very day. From the polling before it was passed to the most recent 50,000 – 60,000 paper applications that have not been processed, the stipulations written into the ACA law have not been met by the administration and due to the incompetence of the admin’s rollout, applicants may not be able to meet the laws requirements either. The 1099 requirement was one aspect that supposedly made Obamacare “affordable” yet it was one of the first parts to be repealed, with total bipartisan support. Then came the two big lies…. one voted the lie of the year, “if you like your healthcare plan, you can keep it” and the other that the Individual Mandate was not a tax, which in the video below you will see Barack Obama vehemently assert….. before the Supreme Court said the only way it could survive the constitutional challenge was AS a tax. 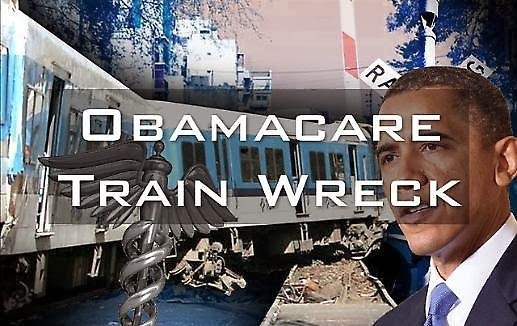 Then the Obama administration vowed to fix it and to investigate the “botched” rollout. One self-identified Navigator gave a television interview in which she told viewers blatantly incorrect information–that applicants’ credit scores could impact their eligibility for certain plans. It later came to light that the woman was not a certified Navigator but rather a volunteer with a Navigator organization. Finally, we now see there is a backlog now being reported with 50,000 – 60,000 paper Obamacare applications sitting around unprocessed.